phpFox is a fully-documented platform, not even for community owners, but also for third-party developers who want to develop apps for selling in the store. As a social network owner, you can find very detailed guides in the phpFox User Manual section. Browsing there, you can find a lot of useful information about the platform. You can learn from how to install and configure to how to manage the community. You will find out that running your own social network has never been easier. 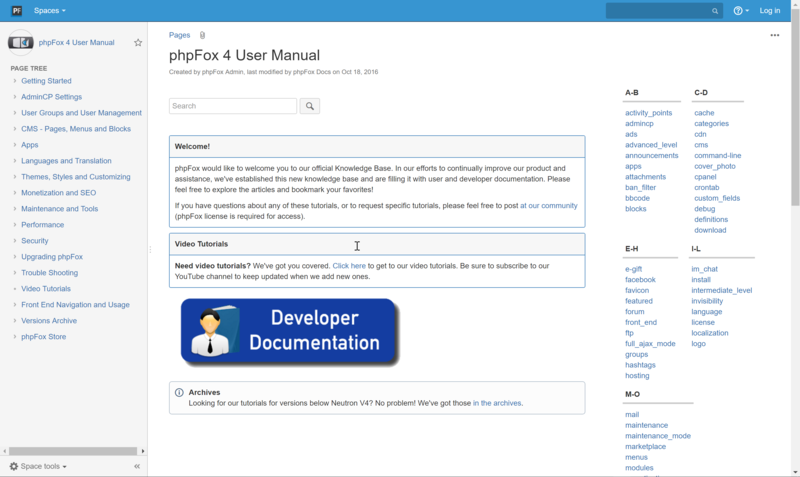 In case you want to create apps to extend the platform's functionality, just check the phpFox Developer Guide. At this space, you can find detailed guides to create apps, themes and language packs for the platform. As soon as your app is created, please share it with the community via our phpFox Store and earn back money for your hard work.